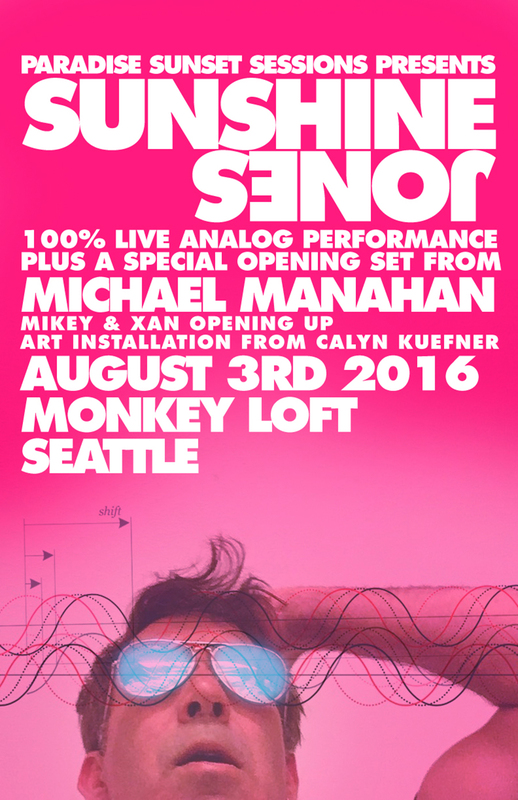 On Wednesday I’m headed back up to the pacific northwest to play a live set up on the rooftop of the Monkey Loft in Seattle, Washington. Last time was amazing, and it was also sold out, so this is a chance for everyone who couldn’t get in to make the scene and get down with me and Michael Manahan and it’s gonna be awesome. Thank you for a fantastic night. Mikey started out making me dance from the very first record. Unbelievably good. But you guys… oooh you guys… what dancers, such generous lovers, so much joy and light and beautiful movement. You make getting lost figuring out the gainstaging of my mixer, and how to best blend the vco and the secondary cv control into a very serious compressor feel like alchemical magic and a pure pleasure! I will love you forever for that, for this, and more.